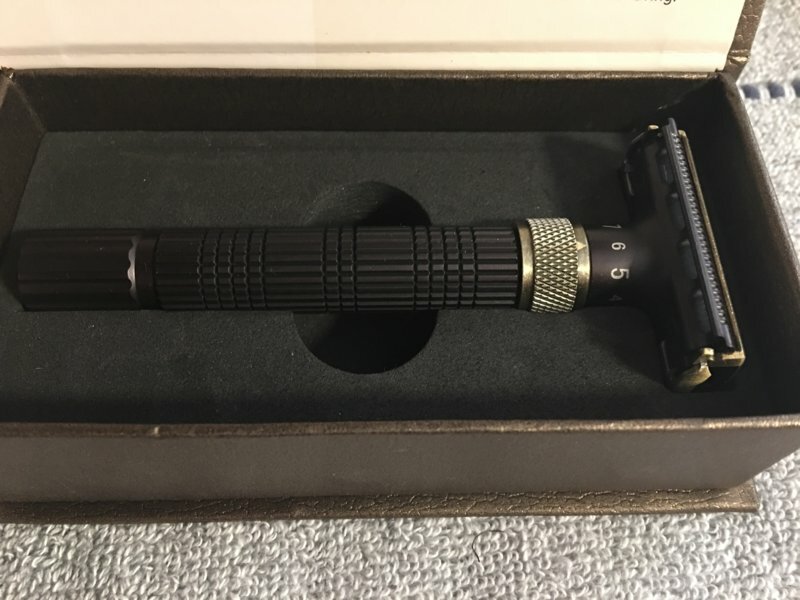 Recently acquired this razor on a review that I read on another shave forum. The looks of it and the positive comments from the gentleman piqued my interest. I did a bit of research, liked what I saw and went ahead and purchased one. The maker Vikings Blade offers this particular model in 2 finishes. One being a Frosted Chrome look and the other one you see here in a Brass/Gold & Cognac color motif. The fit and finish is very, very good. The Frosted Chrome is called the Emperor while the Brass&Cognac is termed the Emperor Augustus. I can't say definitively if the razor is manufactured by Vikings Blade (family owned business from Australia) or outsourced to a private razor manufacturer but, I will say that it is not your typical Baili or Weishi type build as they have made and produced razors for VB before. 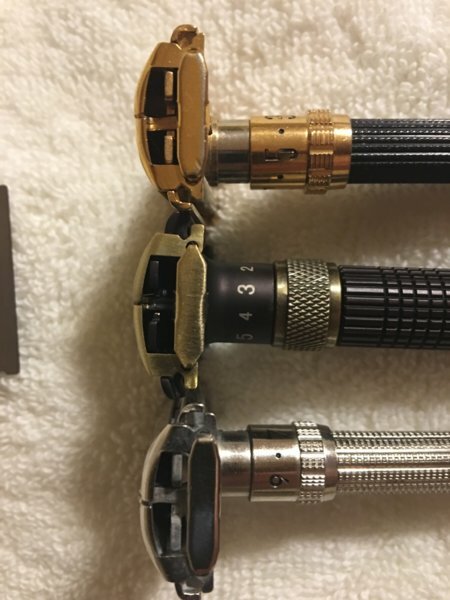 There are a couple of articles out there that do express that this line of razors is not a joint business venture with either of the 2 Chinese razor manufacturers mentioned earlier. I'd include a link to those articles but, unfortunately that's not permitted here. Just do a search if more info on the company's history and manufacturing details are of interest to you. The Augustus has a very nice feel and heft to it. Much heavier and substantial compared to the Gillette type adjustables that it seems to have been modeled aftee. An all brass construction with a chromed and coated Zamak blade tray. Would have been nice for it to have been completely brass but, for $57 it's not a bad deal. The razor head has a dual guard configuration. A straight bar side and a semi micro serrated side. Both feel very good and smooth with a slight bit more of blade feel and efficiency on the serrated side. The adjustment dial is a continuous motion dial, similar to the Rex Ambassador with adjustments from a mild 1 to a very nice blade feeling 9. The gap and blade exposure in relation to the guard gives a nice angle and range of attack for both shallow and steep angle shavers. A very impressive tool in the hands. This is not your Grandpa's or Dad's Gillette FB, Slim or Black Beaty/109 variant of adjustables. This is a serious Heavyweight tipping the scales at around 135 grams. This is not for the light razor enthusiast. I've had it for almost a week and have put in 3 shaves with it so far. And honestly, they have been very good, close and comfy shaves. No issues with blade alignment or uneven blade exposure on either side. Install your blade, close the tto doors and set your dial to your preferred gap. It cleans easily and quickly with no clogging just by turning the tto knob slightly just like the venerable Gillettes. It has been a very pleaaant surprise on the Augustus's performance. A few pics below on presentation and the size difference compared to the Gillette's. 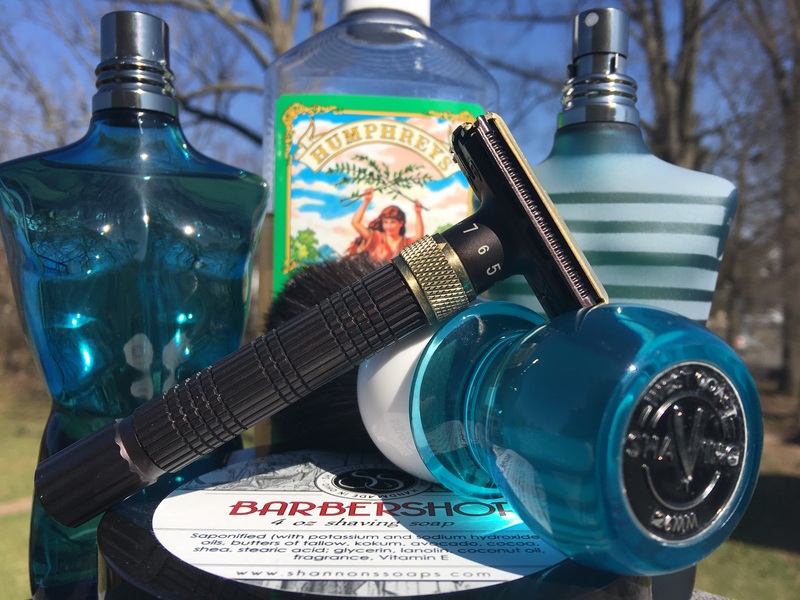 Gillette Slim bottom, Augustus middle, Black Beauty top. Thanks for the review. 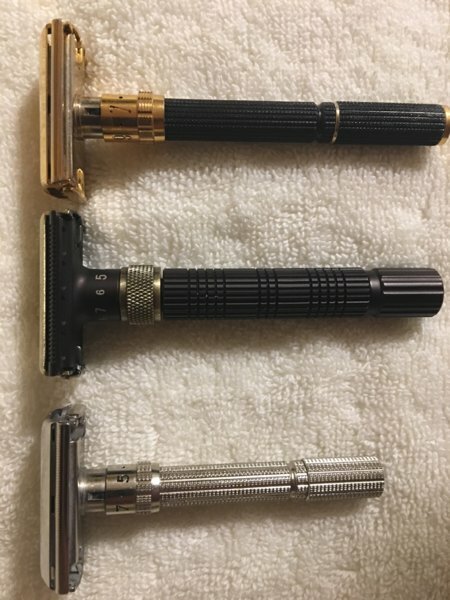 Abundance of low quality adjustable and/or TTO razors, nice seeing a nice reasonably priced version. Looks tempting. I have sensitive skin and short hard facial hair so I shave every other day. I bought Augustus from Amazon to see if it could be as good as X3 or ATT S2. 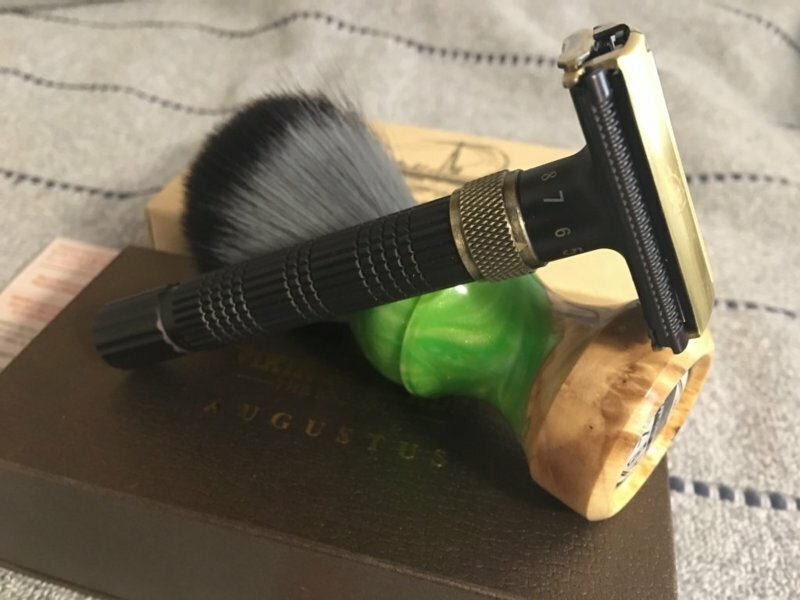 I have tried it with 3 different blades and different settings for different parts of the face and found that for me it is not giving a close shave I was looking for. Actually Gillette Black Beaty 109, which I tried with Astra SP blade, gave me a closer shave than Augustus.